Well, in a video that has been viral for a few days now, we can see a black bear mamma mercilessly slaughtered in her den, where she’s been peacefully hibernating together with her two cubs. The two men in the video have been identified as Andrew Renner and his son Owen. Their gruesome act of cruelty took place while they were wandering the harsh wilderness of Esther Island, Alaska, in April 2018. 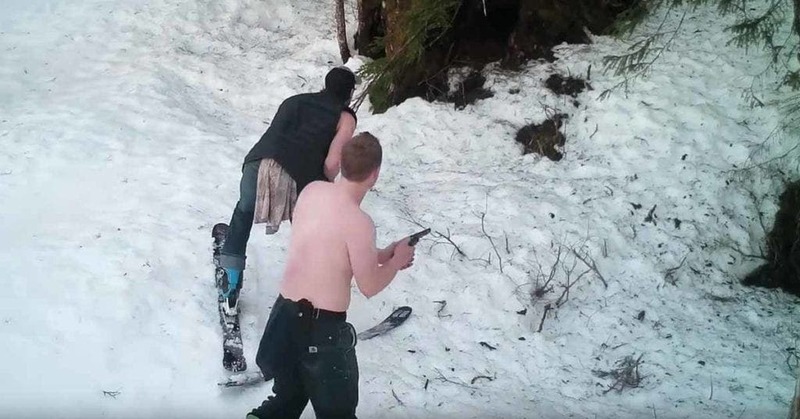 The deeply disturbing footage was caught on camera without the poachers’ knowledge, as the bears had been under surveillance as part of a study conducted by the US Forest Service and the Alaska Department of Fish & Game. The authorities sprang into action when the motion sensors that had been installed in front of the den to record the animals’ wakeup never kicked in. The Humane Society of the United States is trying hard to raise social awareness of this act of unprecedented animal cruelty, fearing that it may become a common practice once a law protecting hibernating bears and their cubs, that was put in place by Obama’s administration, is overturned by Trump’s. 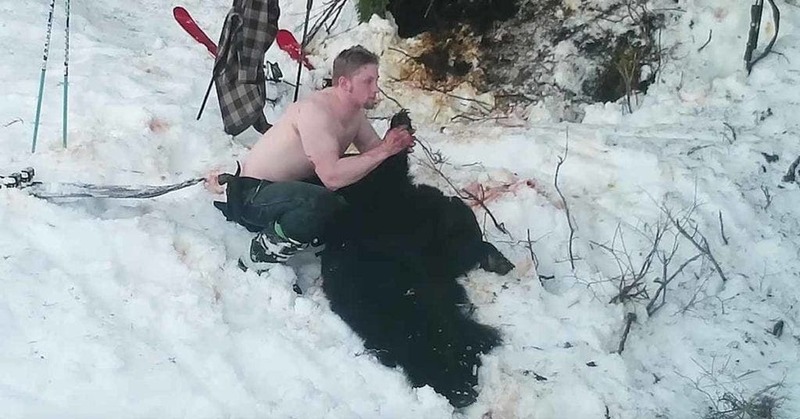 “This video of a father and son killing a mother bear and her babies in their den and showing complete disregard for the lives they are taking is reprehensible. The Renners’ actions demonstrate the ruthless brutality that the government is poised to enact into law on millions of acres in Alaska, overturning a 2015 Obama-era rule that prohibits the killing of black bear mothers and cubs in their dens on these lands”. She went on to say that such acts of animal slaughter contradict the very purpose of federal public lands like national preserves and national wildlife refuges. “It is too sad and too late for this mom and her babies, but not too late for the government to abandon this heartless plan to enable such killing and instead maintain the rules that protect America’s iconic wildlife,” Kitty Block was also quoted as saying. Andrew and Owen Renner were charged with unlawfully taking a female bear with cubs, two counts of unlawfully taking bear cubs, as well as three counts of possession and transportation of illegally taken game. Andrew Renner was also charged with tampering with physical evidence, contributing to the delinquency of a minor and unsworn falsification in the Second Degree in August 2018. In January 2019, the Rennes pleaded guilty on all counts and received hefty fines plus a jail sentence. As part of their sentence, the two men had their hunting licenses suspended and some of their property was confiscated. While bear hunting in Alaska is not criminalized, the Renners’ act was very far from it. The two mercilessly slaughtered a sleeping animal and such an atrocity cannot be tolerated.